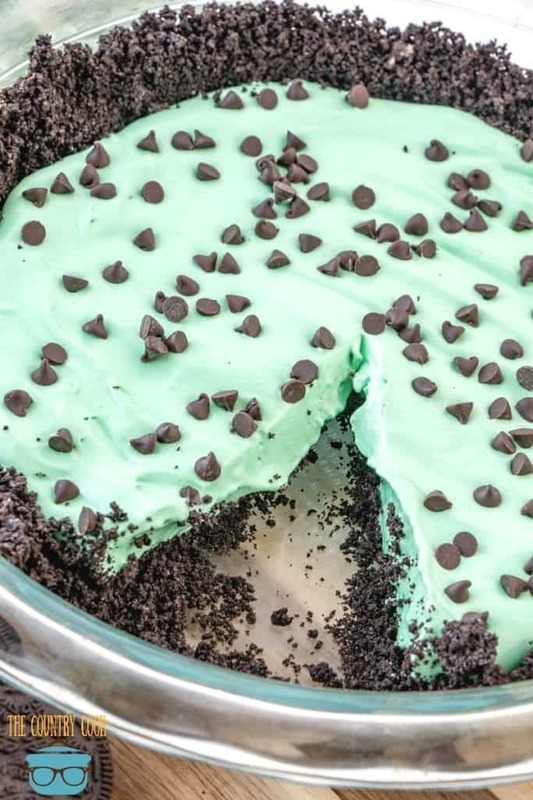 Tthis no bake grasshopper pie is an absolute must try! 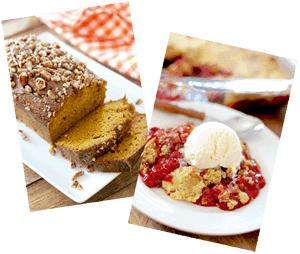 It’s so sweet and delicious and the kids will LOVE this one. 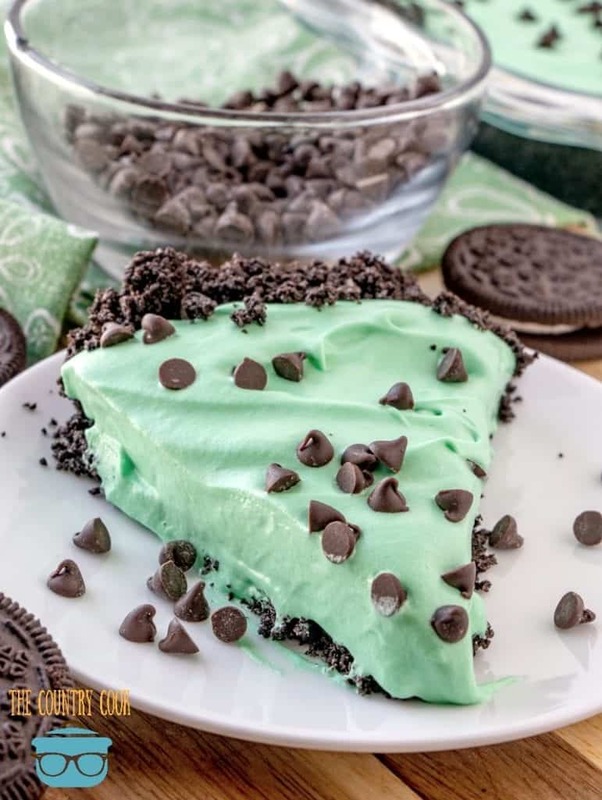 Oh and did I mention it’s a no bake pie? Talk about EASY! I have wonderful memories of eating this as a kid! 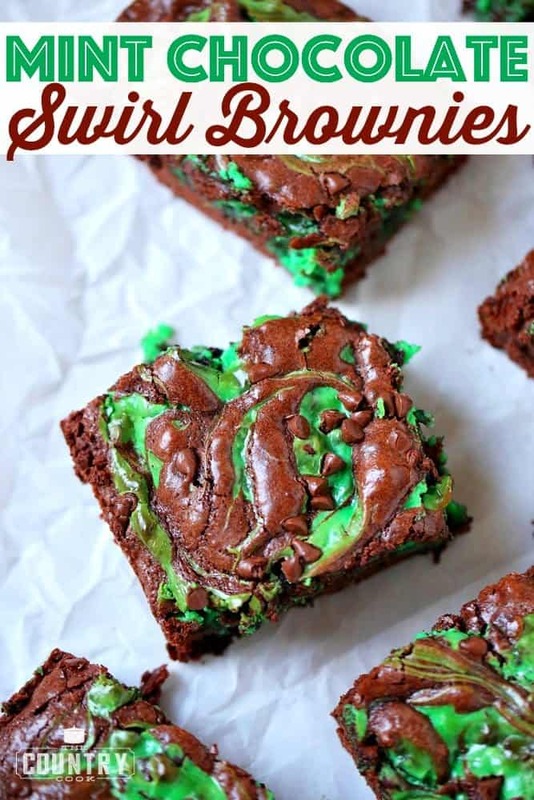 It’s also a neat dessert to try for St. Patrick’s Day! 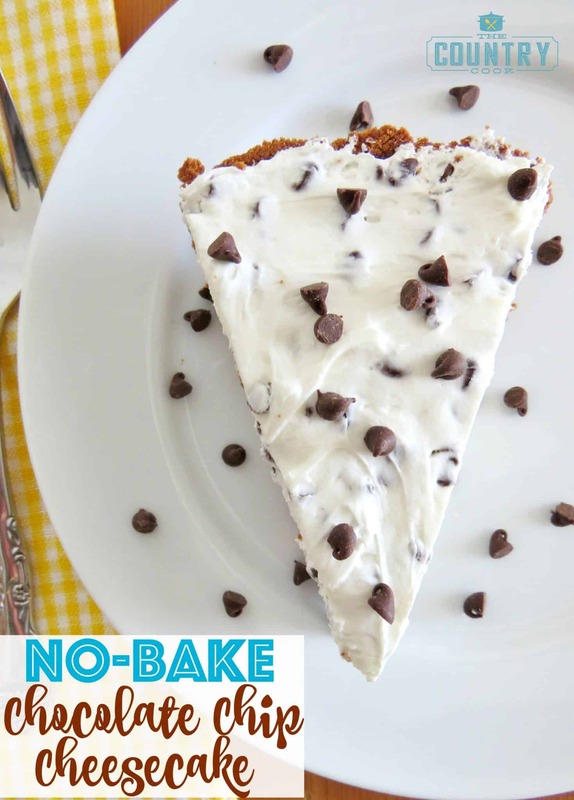 I have an undying serious love for no bake recipes – they’re delicious and can they get any easier?! I mean, make a crust, stir some ingredients together, and then let it set. Oh and then devour it and watch it disappear in roughly 3.65 seconds later. 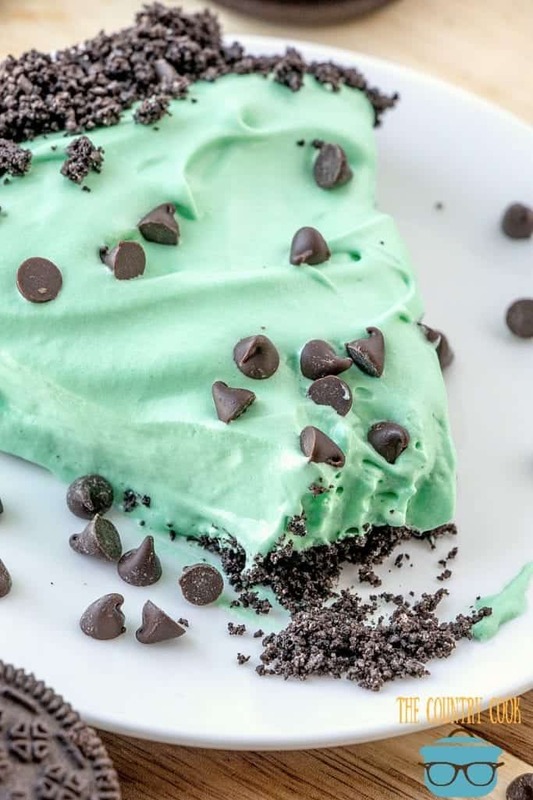 The kids LOVE this recipe since it’s so minty and chocolatey and yummy! 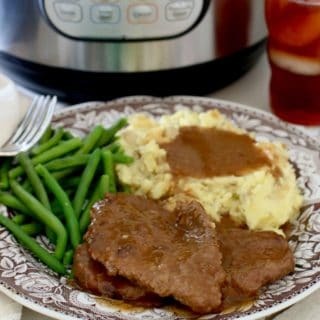 I love it for those reasons and how EASY it is to make! It makes watching it disappear a little less painful too, ha! 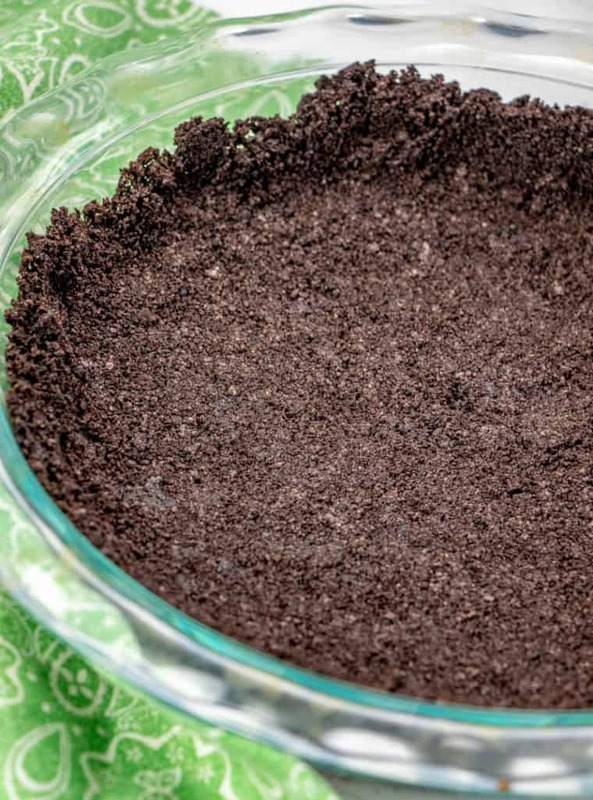 If you’ve never had a no bake pie, now is the time to have one! And this one is OH SO DELICIOUS!! Spray a 9-inch pie pan with cooking spray and set aside. 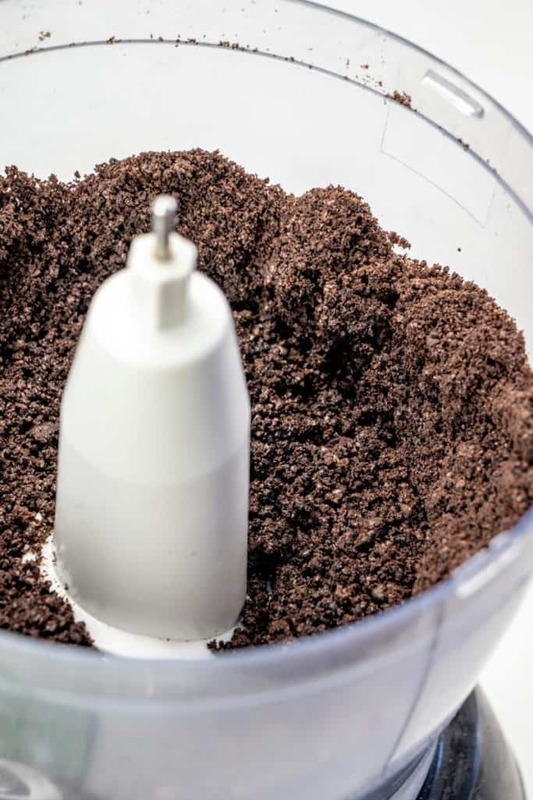 Using a food processor, crush the Oreo cookies until finely ground. Add the butter and pulse a few times to combine. Pour the crumb mixture into the bottom of the pie pan and press along the bottom and sides. Place into the fridge to cool and harden. 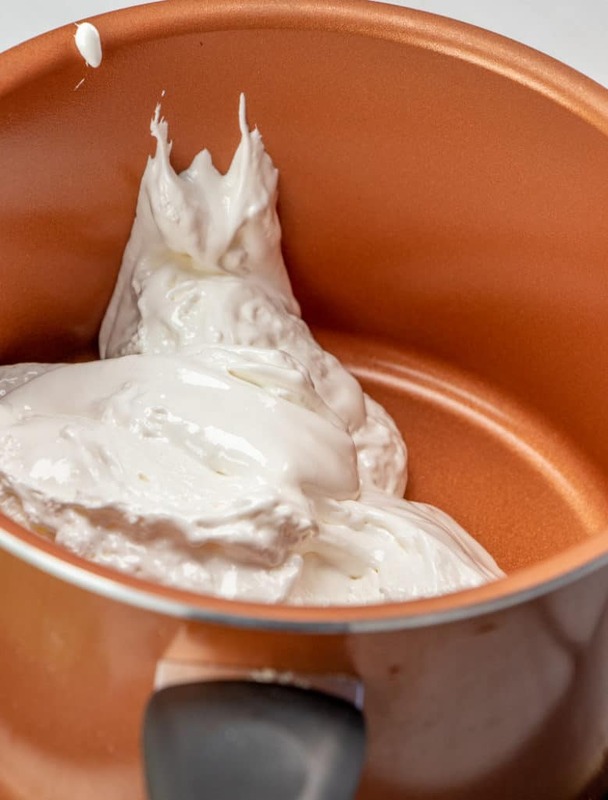 In a medium saucepan, melt the marshmallow fluff over medium-low heat, stirring constantly until completely melted. Remove from heat and pour into a large bowl. 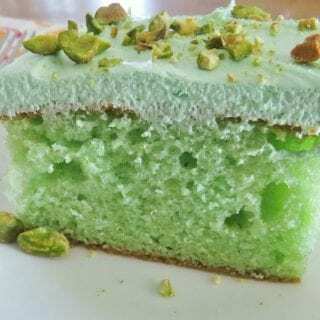 Stir in mint extract and food coloring. Allow to cool. 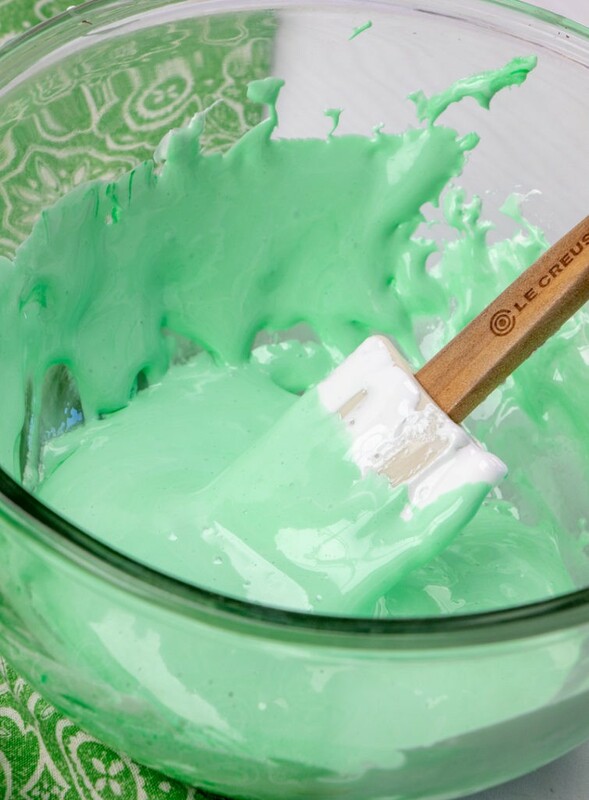 Once the fluff mixture has cooled completely, stir in the whipped topping until combined and add more food coloring if needed to reach desired color tone. Pour the mixture into prepared crust and top with mini chocolate chips. 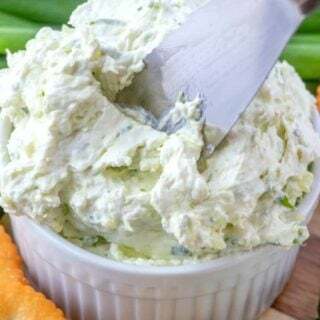 Refrigerate until firm for at least 4 hours (this step is super important!) 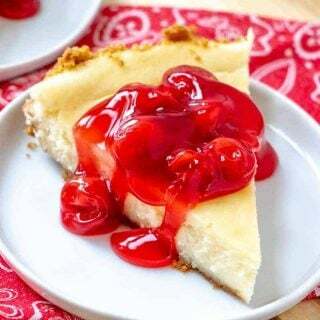 Serve once firm – you are going to love this delicious easy no bake dessert! 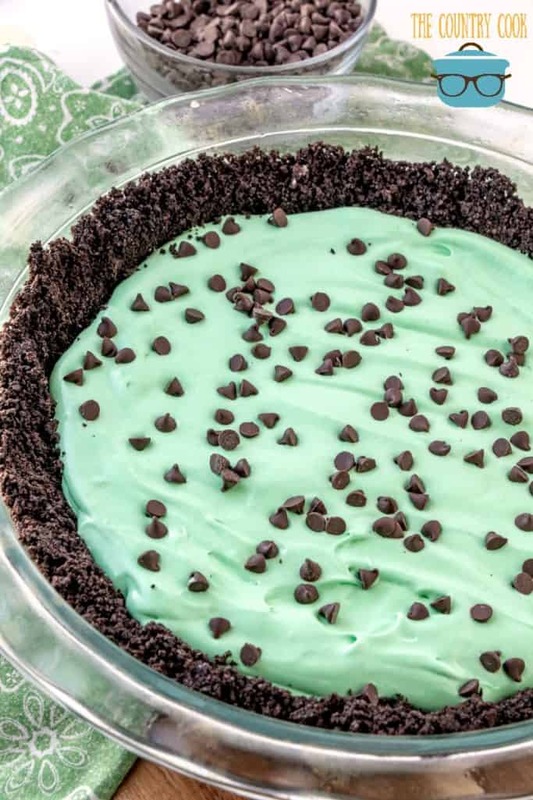 Note: You can even freeze this dessert to make it more like an ice cream pie. 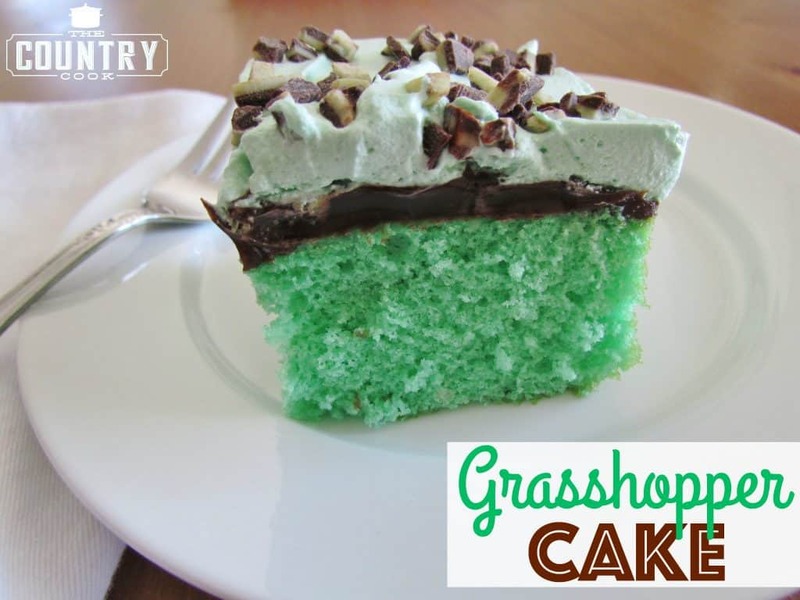 Enjoy your delicious grasshopper pie! 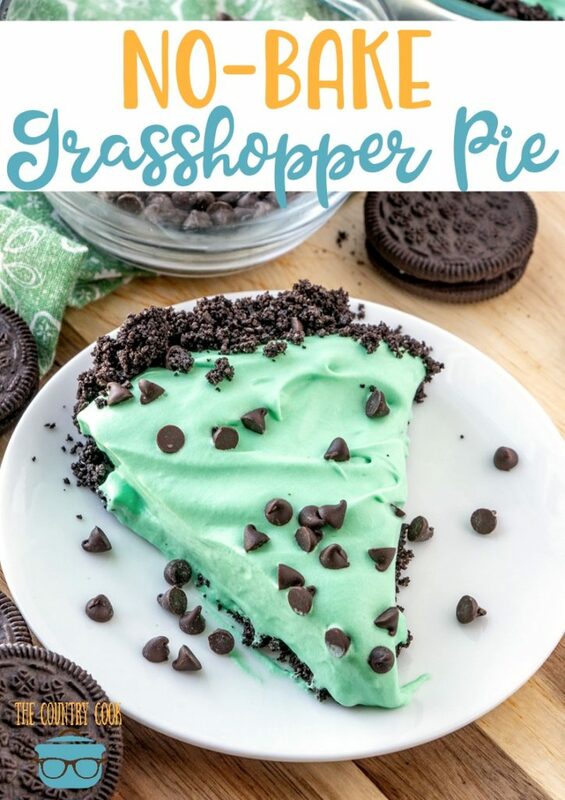 This No Bake Grasshopper Pie recipe has an Oreo pie crust filled with a creamy, minty green filling and topped with mini chocolate chips! Spray a 9-inch pie pan with cooking spray and set aside. 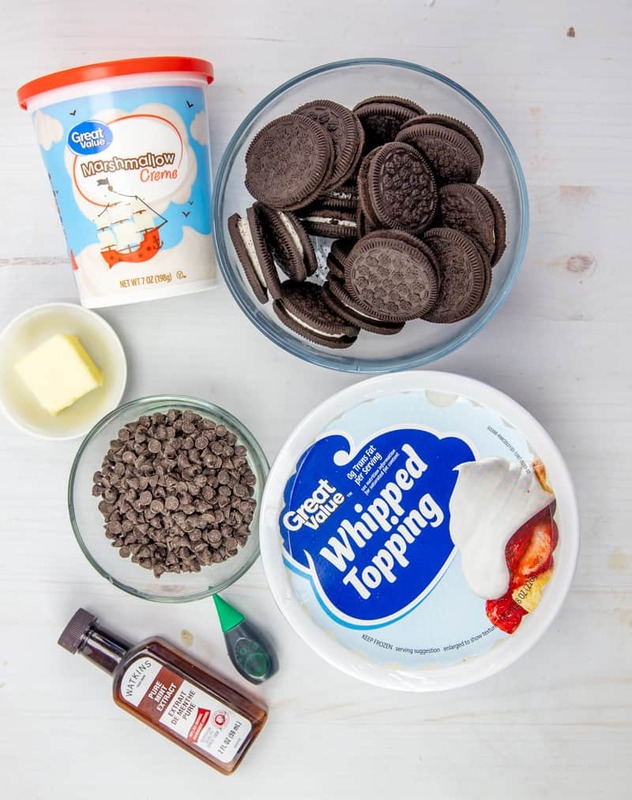 Using a food processor, crush the oreo cookies until fine. Add the butter and pulse a few times to combine. Pour the crumb mixture into the bottom of the pie pan and press along the bottom and sides. 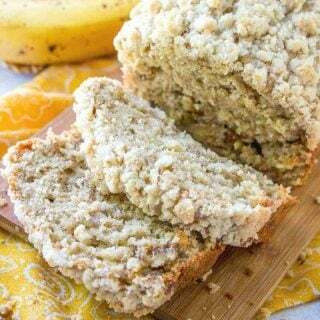 Place into the fridge to cool and harden. 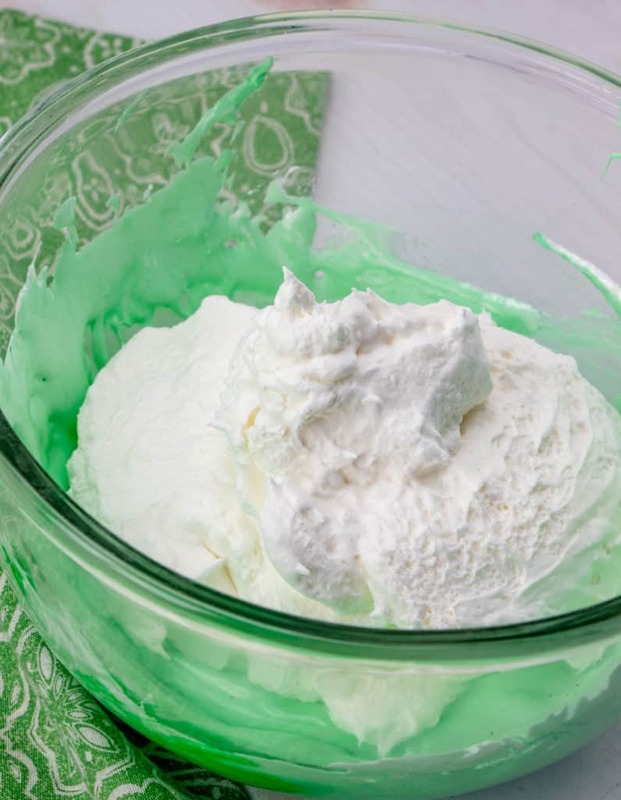 Once the fluff mixture has cooled, stir in the whipped topping until combined and add more food coloring if needed to reach desired color tone. Pour the mixture into prepared crust and top with mini chocolate chips. 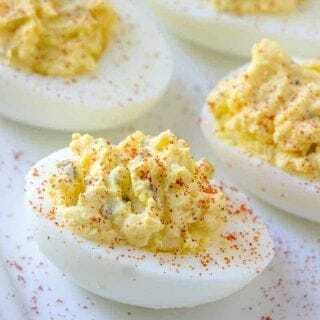 Refrigerate until firm for at least 4 hours or overnight (don't skip this step!) Serve and enjoy! 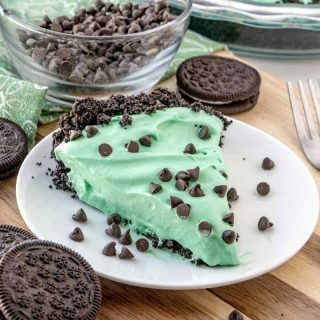 Note: You can even freeze this dessert to make it more like an ice cream pie.